One Academy Award trophy sold for nearly $500,000 and the second for well over $200,000 in a rare auction of Oscars that ended Friday in Los Angeles. A best-picture Oscar for "Gentleman's Agreement," the 1947 film starring Gregory Peck that took on anti-Semitism, sold for $492,000. A best picture statuette for 1935's "Mutiny on the Bounty" fetched $240,000. Both were outpaced by an archive of papers on the origin and development of "The Wizard of Oz" that brought in $1.2 million. Auction house Profiles in History announced the results after four days of bidding on Hollywood memorabilia that brought in more than $8 million in total. Other items sold include a TIE fighter helmet from the original "Star Wars" that went for $240,000, a Phaser pistol from the original "Star Trek" TV series that fetched $192,000, a hover board Marty McFly rode in "Back to the Future II" that sold for $102,000, and a golden ticket from "Willy Wonka & the Chocolate Factory" that brought in $48,000. The "Mutiny on the Bounty" Oscar price came close to auction-house projections, but the "Gentleman's Agreement" statuette brought in more than twice what was expected, for reasons that are not clear. The buyers of both Oscars and "The Wizard of Oz" document chose to remain anonymous. 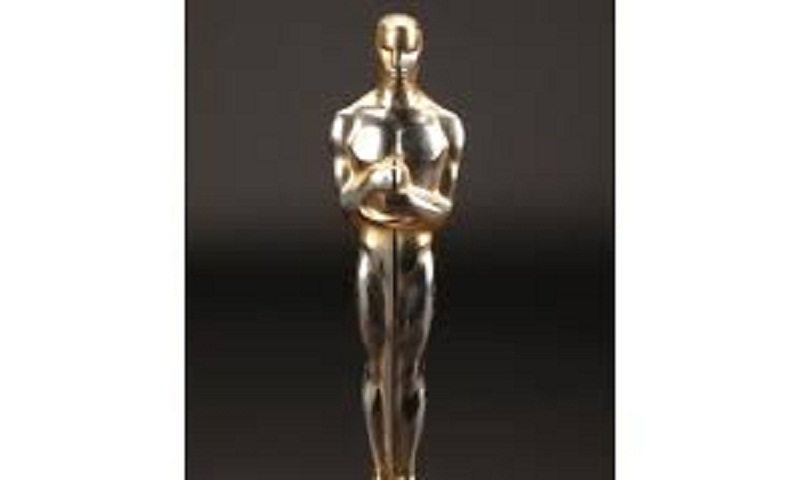 Auctions of Oscar statuettes are very uncommon because winners from 1951 onward have had to agree that they or their heirs must offer it back to the Academy of Motion Picture Arts and Sciences for $1 before selling it elsewhere. The academy has said it firmly believes Oscars should be won, not bought. Neither of the Oscars sold this week approached the record of $1.5 million paid by Michael Jackson to acquire David O. Selznick's "Gone With the Wind" Oscar in 1999.